left them on so that you can see when they are normally due. Scroll down the page for the local scholarships. 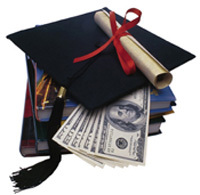 The Student-View Scholarship is a unique opportunity for high school seniors. It is open to all students regardless of academic achievement or financial need. Simply complete a 15-25 minute online survey about local colleges. You will then be automatically entered into a random drawing for a scholarship award. The Governor’s Honors Academy is entering its twenty ninth successful year, inspiring high school leaders to excel into even greater ambitions and perspectives. This is an invitation for current high school juniors who excel in citizenship, service activities, academics and extracurricular endeavors to apply to join in this annual experience dedicated to leadership, motivation and academic superiority. The Governors Honors Academy will be held June 21st-29th, 2019 on the beautiful campus of Southern Utah University in Cedar City, The primary objective of the program is to nurture the life of the mind through accelerated experiences and course work. Recreational and social experiences balance the participant’s busy schedules to create a powerful learning tool and create understanding between students from high schools across the regions of Utah. The cost will be $1,100 for all expenses of the 9-day Academy (valued at over $20,000 including a four-year FULL TUITION SCHOLARSHIP at Southern Utah University). can enter through January 6, 2019. Young people spend an average of 7.5 hours a day consuming media--and this doesn't include computer use for schoolwork--according to the Kaiser Family Foundation. With technology always at the ready at your fingertips, it can be a challenge to unplug. But taking a break from technology is healthy for both the mind and body. The purpose of this scholarship is to help you understand the negative effects of too much screen time. For more information on technology addiction, please see these articles. Please select either the college you are attending or colleges (up to 4) that you are interested in attending. What best describes your current or intented major / field of study? The I Have a Dream Scholarship winner will be notified by email or phone on or around April 30, 2019. We're Awarding $20,000 To 20 Student Athletes! 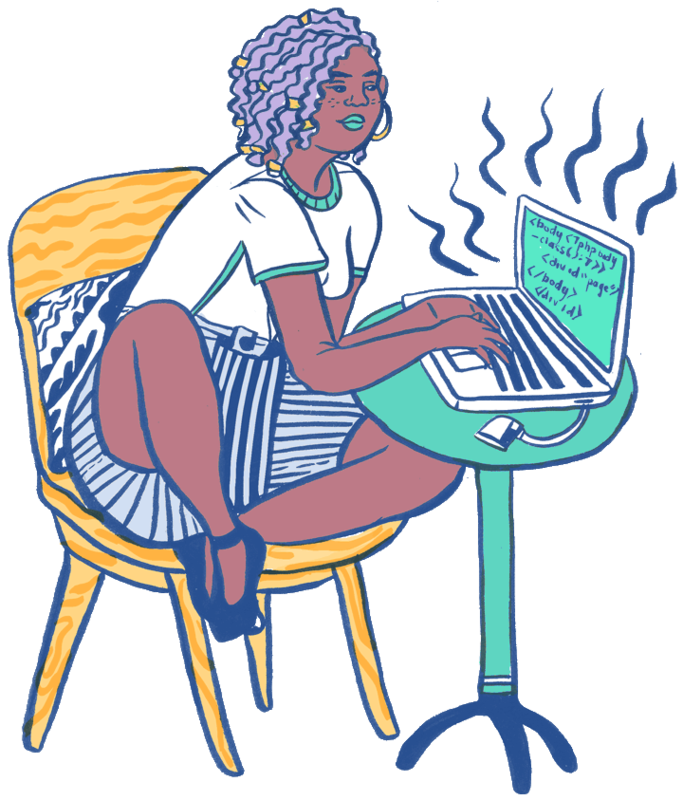 A full–tuition scholarship for a woman in science, technology, engineering, or math. Funded by Cards Against Humanity. A mini–lecture, not a personal statement. Pretend you're a lecturer speaking to a class. Teach us something. A demonstration of your passion for the subject. Your video doesn't need to be fancy or high–tech. Production value is not a factor in judging. Scientifically accurate. We encourage you to cite sources you use to research your topic. Clear and creative. People who aren't science experts, like students or non–scientist adults, should be able to understand your video. About any STEM topic, not necessarily your field of study. An advisory board of women who hold higher degrees and work in a broad range of STEM fields will review the applications and select the finalists. The finalists will be notified in early 2019 and will move onto the next round to submit additional materials. Application deadline is March 1, 2019, and the scholarships awardees will be announced on April 1, 2019. Funds will be dispersed for the fall semester 2019. 1) Write a 500 – 800 word essay on: Why you want to go to college and what you are most excited for in the college experience. 2) Fill out the application, attach your essay, and high school transcript. – Must be a resident of the U.S. 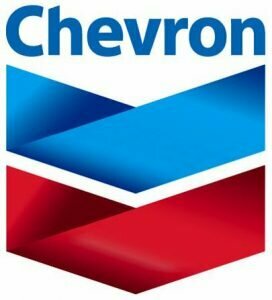 The Governor’s Office of Energy Development is proud to partner with Chevron to advance Utah’s energy workforce by providing scholarships to high school seniors who intend to pursue a Science, Technology, Engineering, or Math (STEM) related course of study at a public or private institution of high learning in Utah. The Career and Technical Education (CTE) Scholarships and Tuition Awards are for outstanding CTE students in Utah. The scholarships/awards are sponsored by the Utah State Board of Education (USBE) with funds provided by participating higher education institutions. The award amount varies by institutions. Below is the list of participating institutions, the number of scholarships/awards offered, and the amount of the scholarship/award. The CTE scholarships/awards may ONLY be applied toward future programs, and not toward any expense incurred as a high school student. Scholarships/awards are NOT transferrable to another institution. For detailed scholarship/award information for each institution, visit the Scholarships and Tuitions Awards website. Students should work with their high school counselor and a CTE teacher when completing this application form and portfolio. Advisors, parents, and others should follow directions in the application form and student portfolio WITH EXACTNESS to ensure the application and portfolio are accepted and considered. The 2019 program year is now open until December 14, 2018 or until 10,000 applications are received. or college freshman from the Utah or Colorado area. Take a quick break from your studies and create something funny for a chance to win a $1,000 scholarship. Lynn Jensen Memorial Scholarship is now available for 2018-2019. The deadine on the flyer is incorrect. The proper deadine is: December 8, 2018. Technical scholarships are reviewed monthly. Check it out! 650K College Reviews, College Stats & other options to help you pay for college. *Academic Scholarships are available through the various colleges and universities and are generally based on GPA and ACT scores. Priority deadines are December 1st. Check with the individual schools for their specific deadline. It's time to get your applications in! After you have completed your applications to the colleges, please come into the Counseling Center and request that your transcript be sent to those schools.
. Applications are due December 31, 2017, and champions will be notified on or before April 2, 2018. If applicants are under the age of 18, they must complete this form in addition to the application. Applicants must be a high school freshman, sophomore, junior or senior or a current or entering college or graduate school student of any level. Home schooled students are also eligible. There is no age limit. Students must also be a U.S. citizen or legal resident. To help students understand the risks of texting while driving. The best submission will be selected and rewarded, $1250 will be given to Undergraduate or Postgraduate Students – $1250 will be given to High School Students, which can be used in course materials or other resources. If you want to know more information about our selection criteria, please continue reading. Student, who is U.S. citizen/ currently attending or planning to attend an U.S. college or university for undergraduate or graduate studies/ high school, college or graduate student or a student planning to enter college, is eligible to participate in our scholarship program. The work you are going to submit has to be 100% unique and creative regarding the above topic. Selection is based on the written essay and focused on creativity, content and a commitment to the cause of preventing cyberbullying. You will have to submit a 600 – 1000 words piece of content in a word .doc file. It’s best practice to include the resource to backup your work. Parentinn’s Scholarship 2017 – 2018 Application – Download. Scholarship Applications are now available for the 2017-2018 school year. There are currently 10 scholarships available. The application deadline for most is April 7th, so don't delay! Check out the available scholarships below. If you need assistance with the online application process please contact scholarships@utahcf.org. For a woman attending a college outside of the state of Utah. Must mail in application that is available on the counseling center. Far West Agribusiness Association 2018 Scholarship Program. Must fill out an application, include resume, transcript, 3 letters of recommendation, 500 word essay. Mail in packet to designated address. Due by March 31, 2019. University of Utah 2017 Bioscience High School Summer Research Program. June 5 thru July 27, 2017. 2017 Student View Scholarship Program. Log on to www.student-view.com and complete a 15-20 minute application survey about colleges in your area. The scholarship will be awarded via a random drawing get of all completed applications. Frenchtown Fire and Rescue Resident Firefighter/EMT Program. Winner receives $2,500 and a trip to Washington DC to meet the Secretary of State and a full scholarship for a Semester at Sea eductional voyage. The runner up receives $1,250 and a full scholarship to attend the International Diplomacy Program of the National Student Leadership Conference. $1,000 Scholarship due January 29th. Click on the link below dor more information. High School Seniors who demonstrate exceptional leadership, drive, integrity and citizenship are invited to apply for the 2017 GE-Reagan Foundation Scholarship Program. This program annually provides college bound students with $10,000 renewable scholarships up to $40,000 total per recipient and supports them as they lead and serve in college and beyond. Scholarships valued between $1,000 and $10,000. An applicant needs to be a graduating high school senior who is entering his or her freshman year at an accredited two or four year university, college or vocational institution in the fall of 2015 and who owns / operates an established business. The award recipients are selected by an independent shcolarship organization. Scholarships are merit based, not based on financial need. Deadline is December 18, 2018. The ACLU of Utah is offering three $1,000 scholarships to high school seniors who have taken a stand to protect civil liberties. LOCAL SCHOLARSHIPS that will be available in the Counseling Center. They are listed below. Great opportunities from our wonderful community members. The following are local scholarships that are available to students during the 2018-2019 school year. Please read through the information and then access the scholarship application either through the designated website or through the Counseling Center if so indicated. This list is not all inclusive and can change based on the sponsor of the scholarship. We will update scholarships as they become available to us through the Counseling Center. Those interested in music can obtain the application in the counseling center. Must complete the CNA, have a 2.0 GPA and submit a short essay. Application is available in the Counseling Center. Delta Family Medicine will offer a scholarship to a senior student who has a minimum 3.85 GPA and has interest in pursuing a medical profession. Applications are available in the Counseling Center. In honor of Michael L. LeFevre, who attended Delta High School, the LeFevre family has established a scholarship in his honor in the amount of $500 to go to a deserving senior who would like to further their education. Open to all seniors, submit a transcript, exemplifies good character, moral courage, and service, graduates from the LDS Seminary, and responds to the questions on the application. The family of Richard Raymond Lovell is proud to sponsor a scholarship in his name. They would like to recognize an individual who has worked hard to overcome adversity in his/her life and exhibits the same high qualities that Richard did during his lifetime. We appreciate the support of the Tyler John Greathouse Family as they sponsor a scholarship in his honor. Minimum GPA 3.5, Service, and Essay required. Our thanks to the Class of 1967 for their generous contributions to help one of our seniors continue on with their post-decondary education. CentraCom will be giving away six scholarships with an initial value of $500. If the recipient chooses to attend Snow College, the scholarship from CentraCom will be $1,000 and Snow College will match $250 raising the total value of the scholarship to $1,250. You can access the scholarship at www.centracom.com/scholarship or you can pick up an application in the Counseling Center. One $1,000 scholarship for a Delta High Graduating Senior. Must have a 3.0 GPA, Participate in at least one extra curricular school activity, and participate in a minimum of one community or church service project as a volunteer. The application is available in the DHS Counseling Center and is due back by April, 2019. Students interested in fields such as but not limited to: welding, auto, diesel. ATV, aviation mechanics, equipment operator, or construction. The application is available in the counseling center and must be mailed to the appropriate address. Major in a field of study that focuses on engineering, technology, design or business, with an interest in the automobile industry. Up to four $1,000 scholarships to Utah High School Seniors. Must fill out the application, submit and essay and be accepted into a post secondary institution. Due date: Postmarked on or before March, 2019. High school seniors planning to enroll in full time undergraduate study at an accredited 2 or 4 year college or university in Fall 2015 to study environmental sciences, general sciences, or engineering. Sign up is available in the Counseling Center. There is a fee of $14.00 that needs to be paid in the bookstore. The test will take place on Wednesday, October 10th, 2018 at 8:10 am, in the Counseling Center. Space is limited so sign up early. George Hanson Fellowship in Geological Sciences. This award is available to incoming freshmen who enroll as geology, environmental geology, earth and space science education, or engineering geology majors. Please come into the DHS Counseling Center for more information regarding the application process.